It may not seem fair to compare the number (and corresponding quality) of the seafood restaurants in Ipoh to those in surrounding towns with fishery activities such as Sitiawan, Pantai Remis and Lumut, or even Sauk, Lenggong or Tapah for freshwater catches from the rivers of Perak. 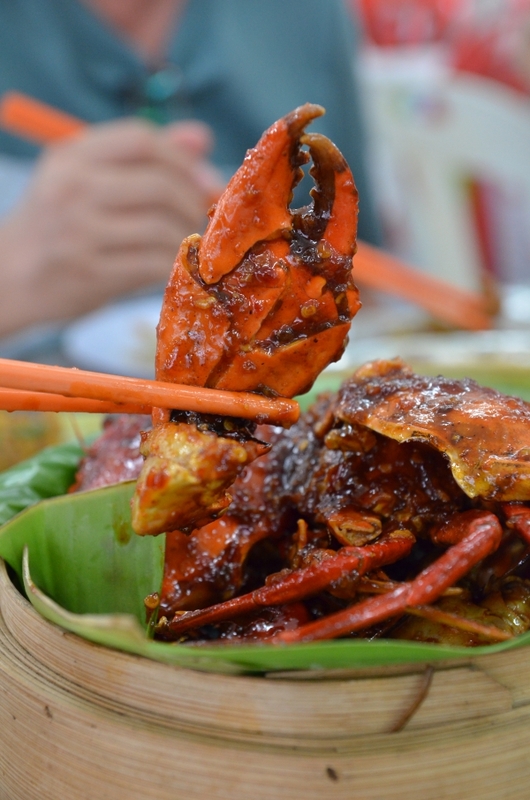 However, looking for a decent place for seafood in Ipoh is surprisingly not as tough as finding a needle in a haystack. For the benefit of casual visitors to Ipoh, I would skip mentioning the more elaborate and well-known Chinese restaurants such as Pusing Public (or Mun Choong), Kok Thai, East Ocean or even the classic Tuck Kee. Instead, let’s shift our focus towards the street food style or chu char places that need no reservations, no minimum spending or number of diners (you can even go by yourself and have a blast feasting on prawns, crabs and shellfish!). Most importantly they serve utterly scrumptious food! 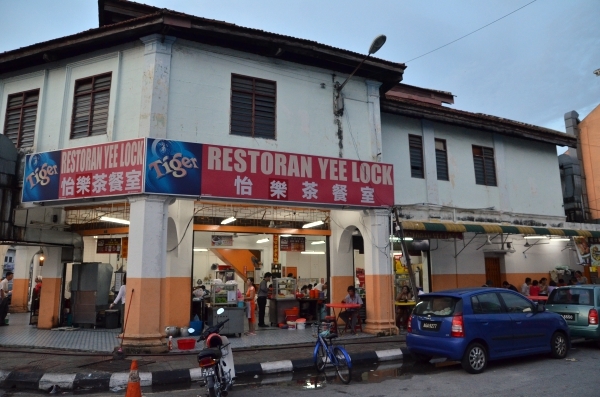 Back in the 90s, there was this incredibly popular food stall at the side of Nam Kew Coffee Shop (but now the shop has changed name to Yee Lock) located along Jalan Raja Musa Aziz in the heart of Ipoh town dishing up various seafood dishes including crabs and shellfish cooked in a dazzling array of methods from spicy kam heong style to steamed with shredded ginger. There were also fried rice/noodle dishes such as fried thick yellow noodles aka Hokkien noodles (usually called dai look meen instead) or wat tan hor. The stall has since moved to a corner shop right behind the original premises; it is now named Yin Fai Kee but somehow the quality of their cooking has not been consistent — at least from our previous visit a few years back. Maybe it’s the feng shui of the stall location (which is parked at the back of the shop; and also occupying almost half of the narrow sidewalk on the side with plastic tables and stools for a classic alfresco experience) but the new stall in Yee Lock is doing brisk business every single night; the patrons gladly queue for a vacant table on weekend evenings, then patiently wait for their orders of seafood cooked with high flames by the team of culinary wonders in an open kitchen setting.